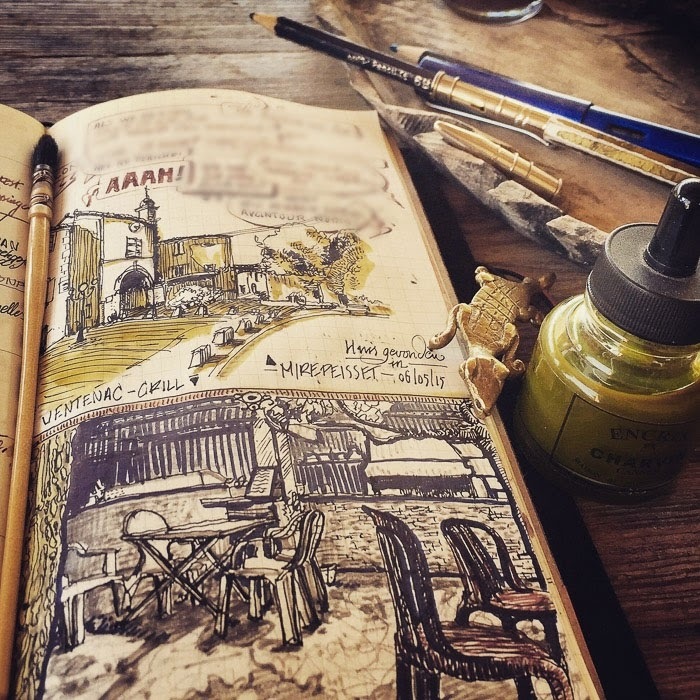 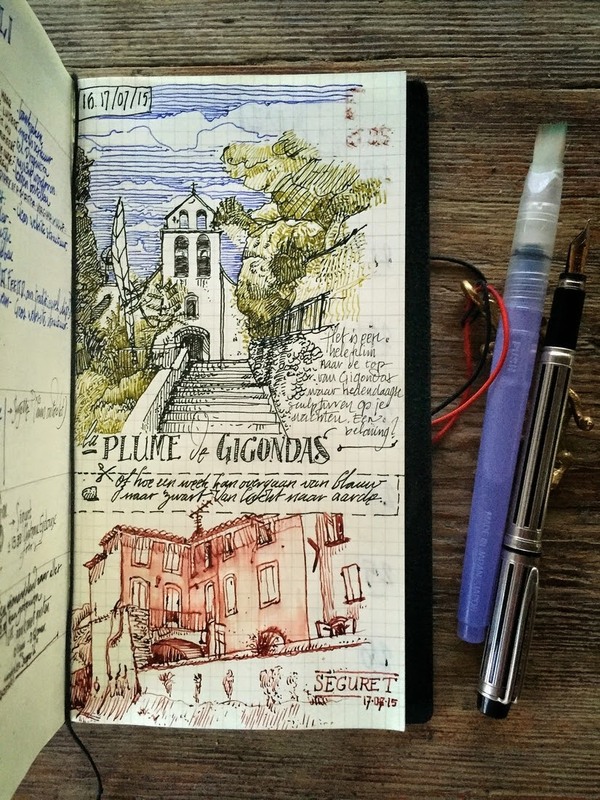 Beautiful journals, kept to remind the artist of the places the visited. 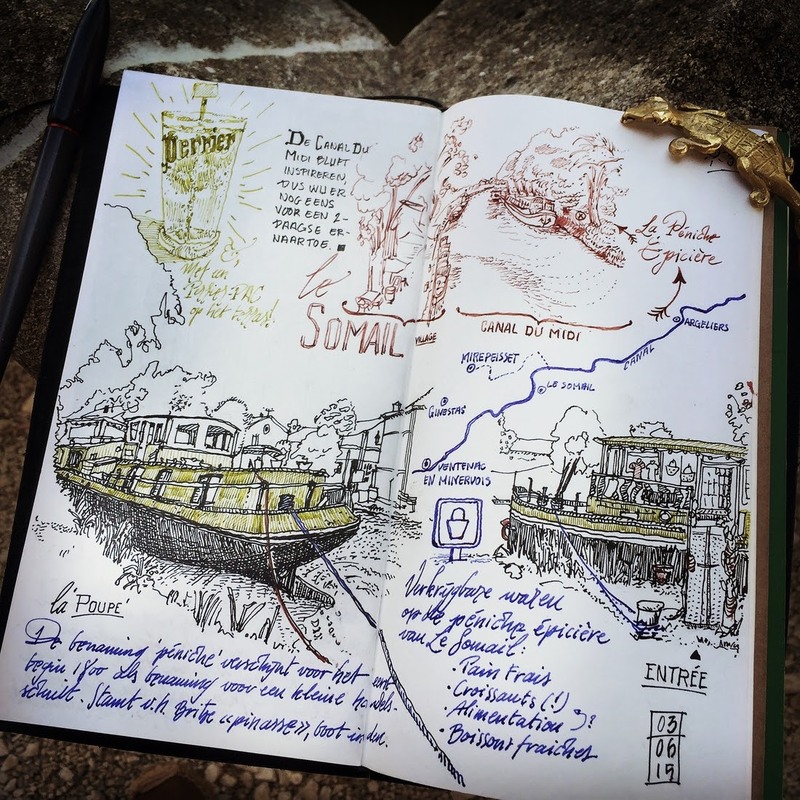 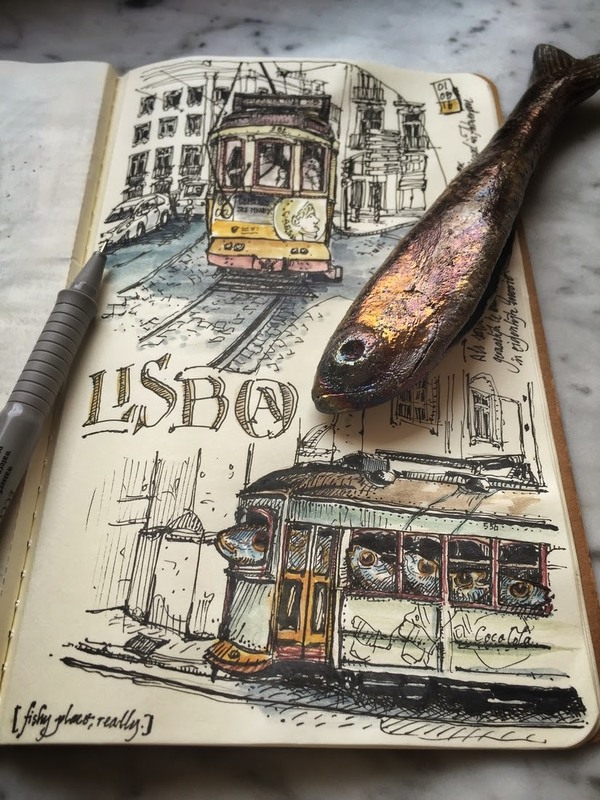 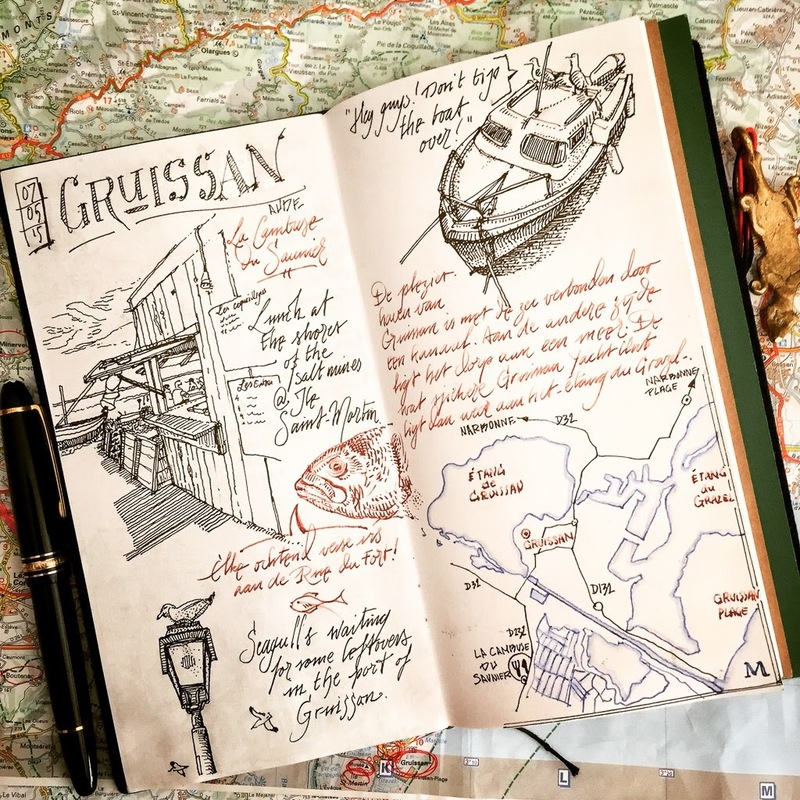 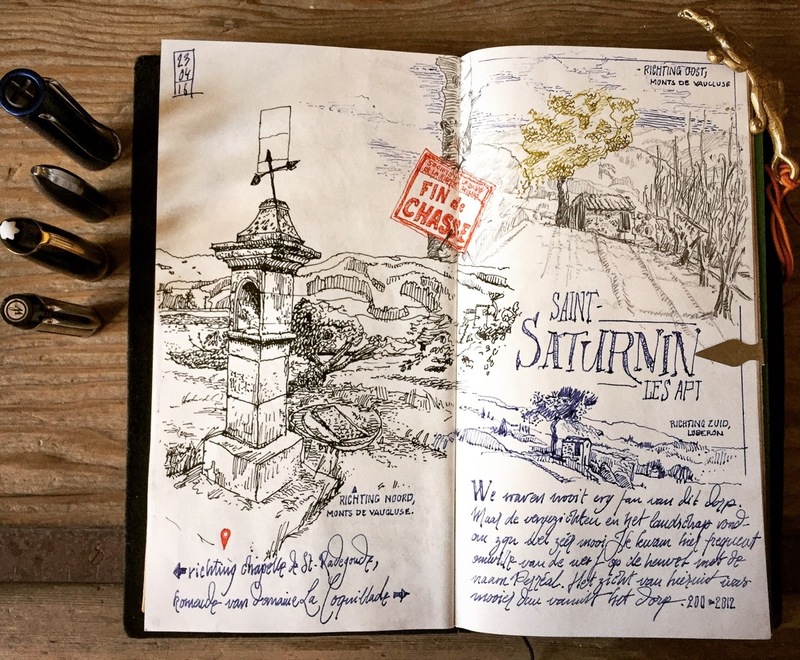 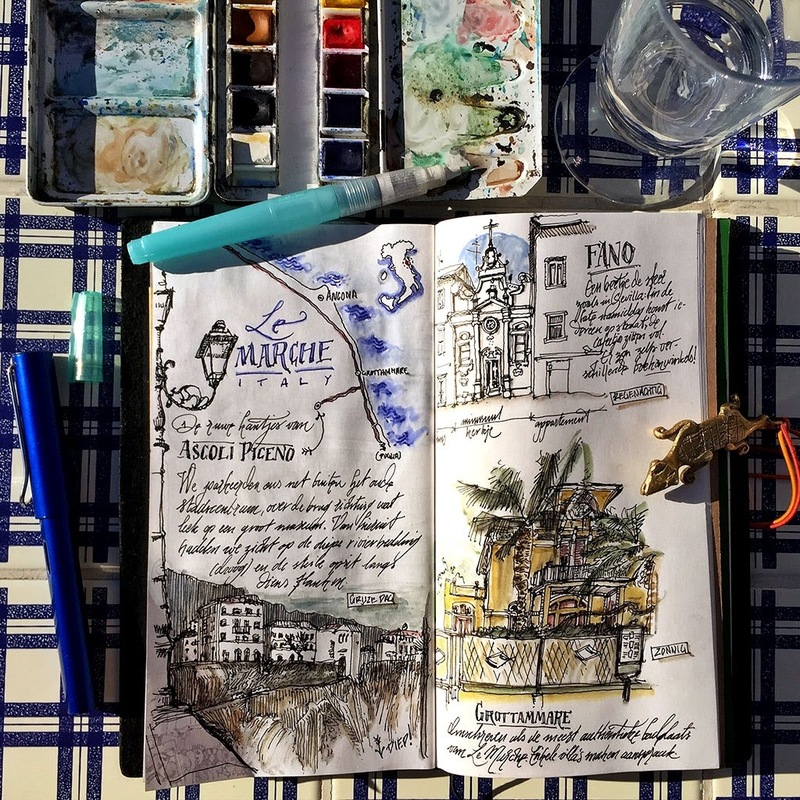 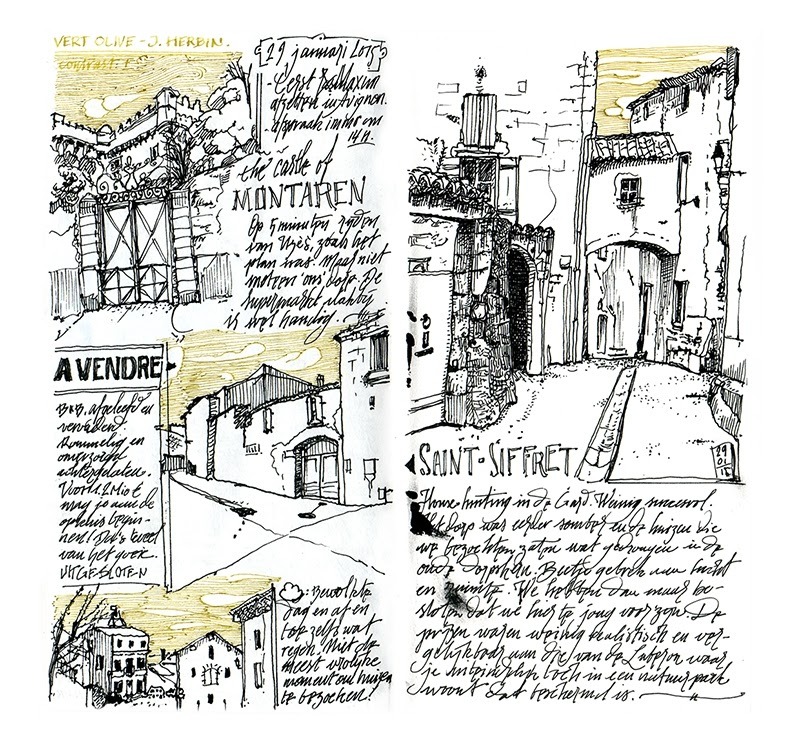 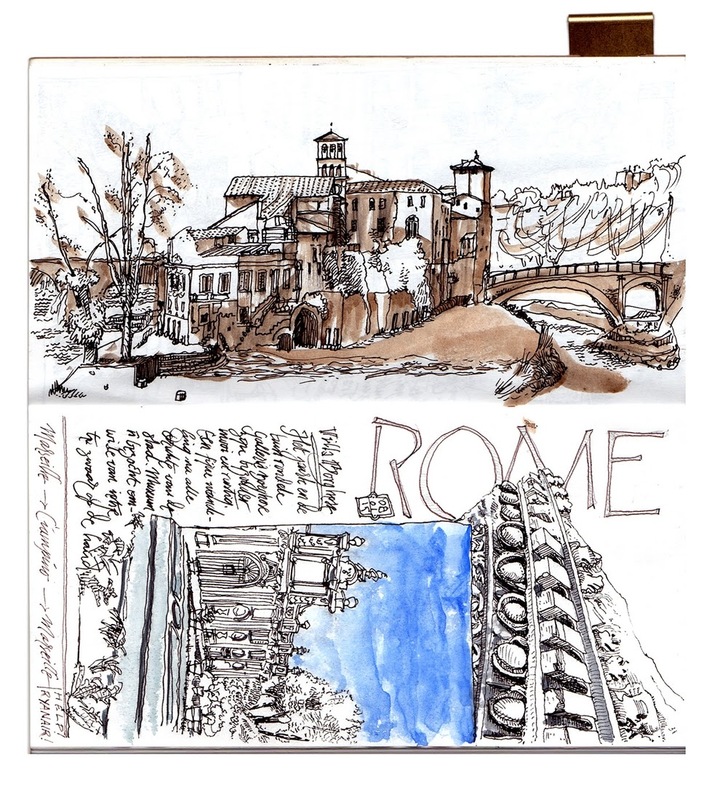 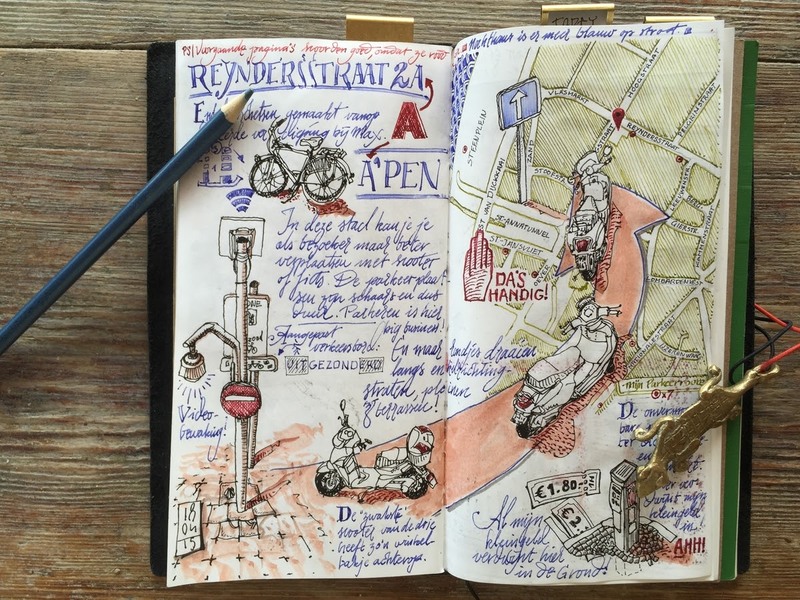 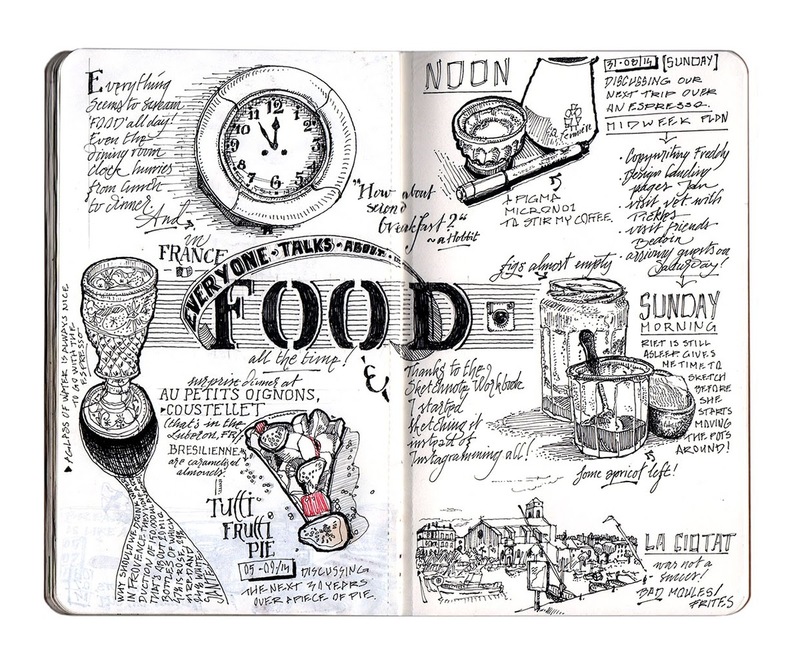 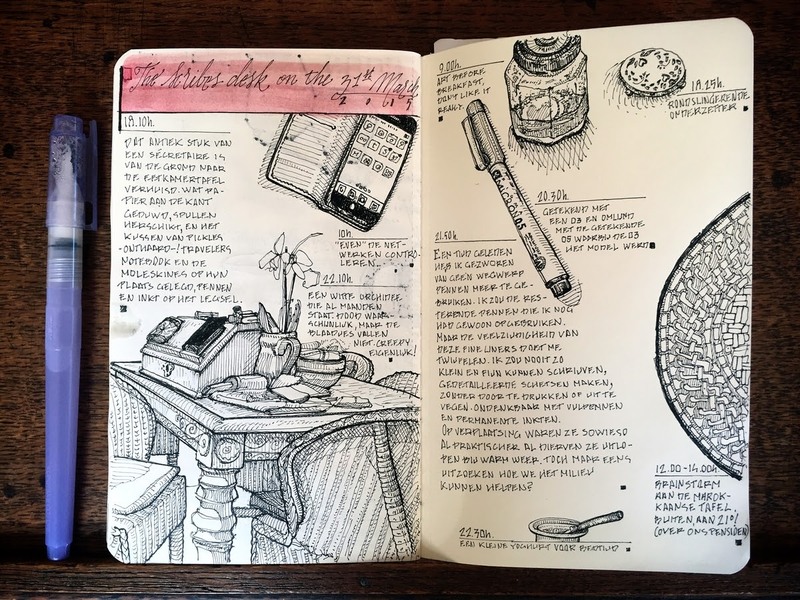 Belgian Artist dessinauteur loves to keep travel journals of the places he visits, he records thoughts and feelings of the place, by making notes next to his drawings in his moleskine books. 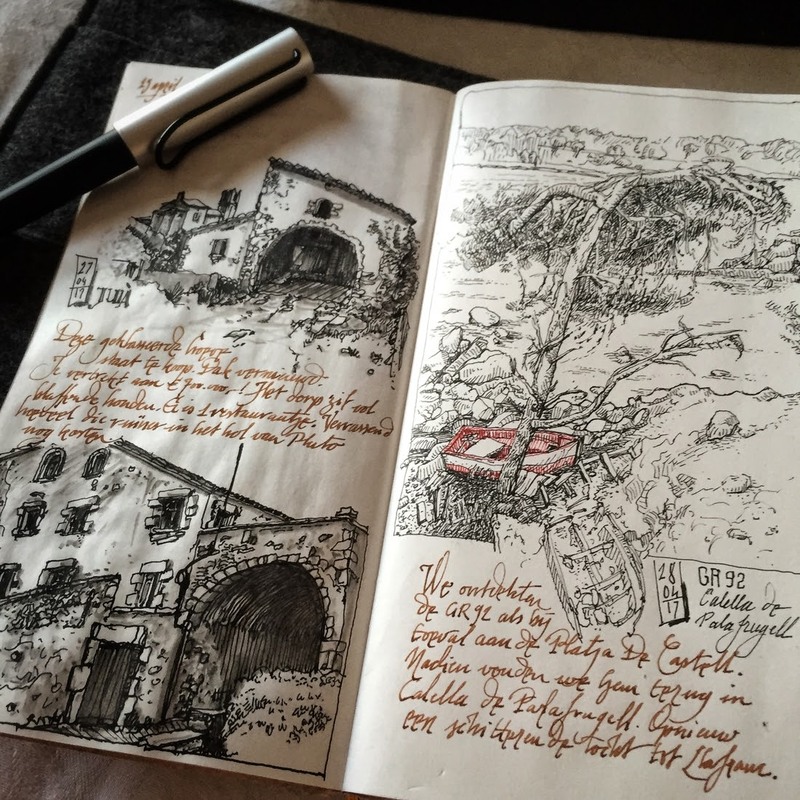 I can't read French and that is a shame, but for me, his beautiful writing, becomes art, just as impressive as his drawings. 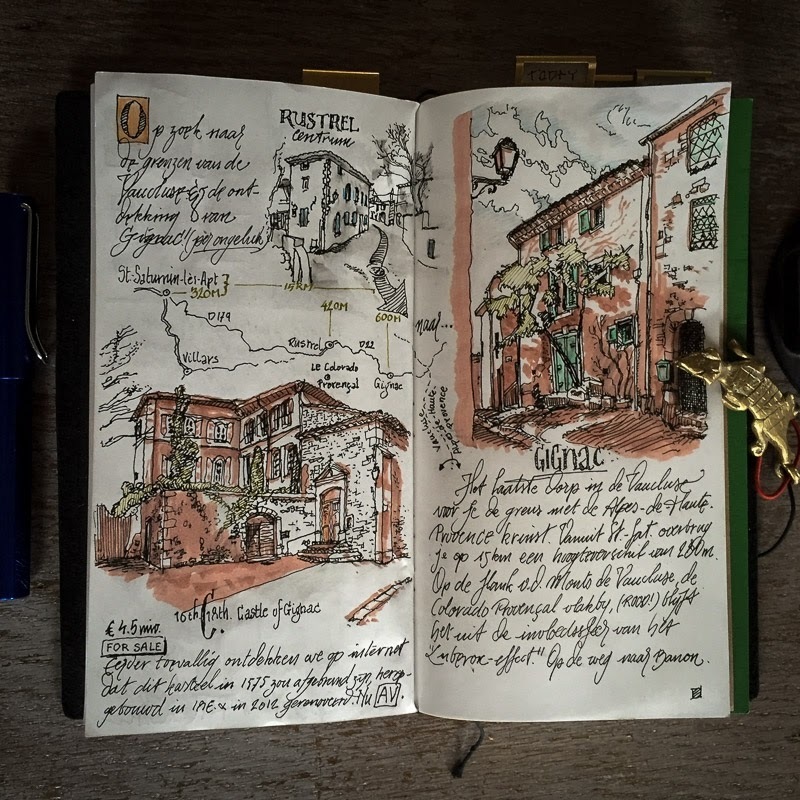 His distinct and personal writing style + the neatness and positioning of the text, allows me to imagine what he might be saying about these wonderful locations that, for some reason, attracted his attentions and compelled him to produce a permanent record of it. 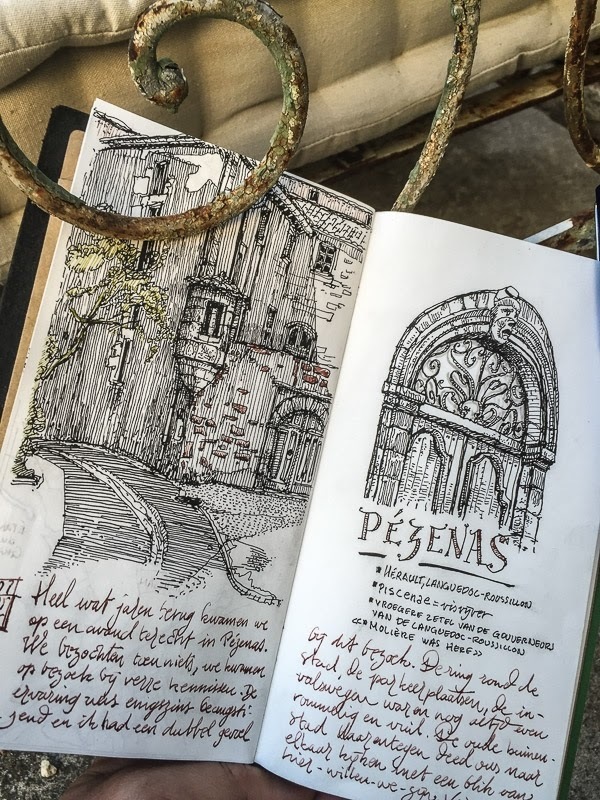 These images include the state of mind and observations surrounding that moment, by creating these fantastic Urban Sketches. 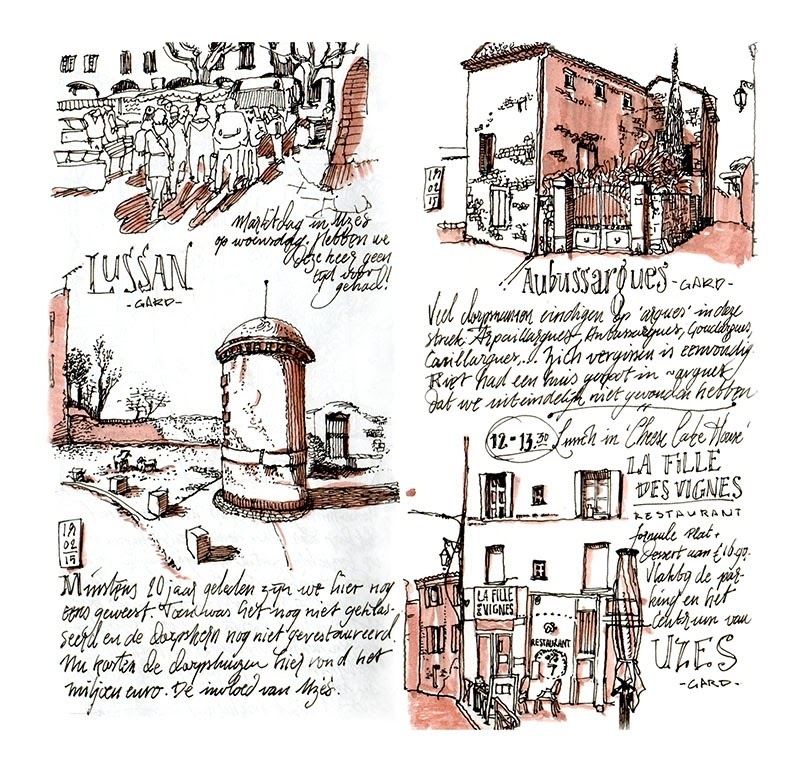 Gigondas - Séguret, two villages to remember if you like wine. 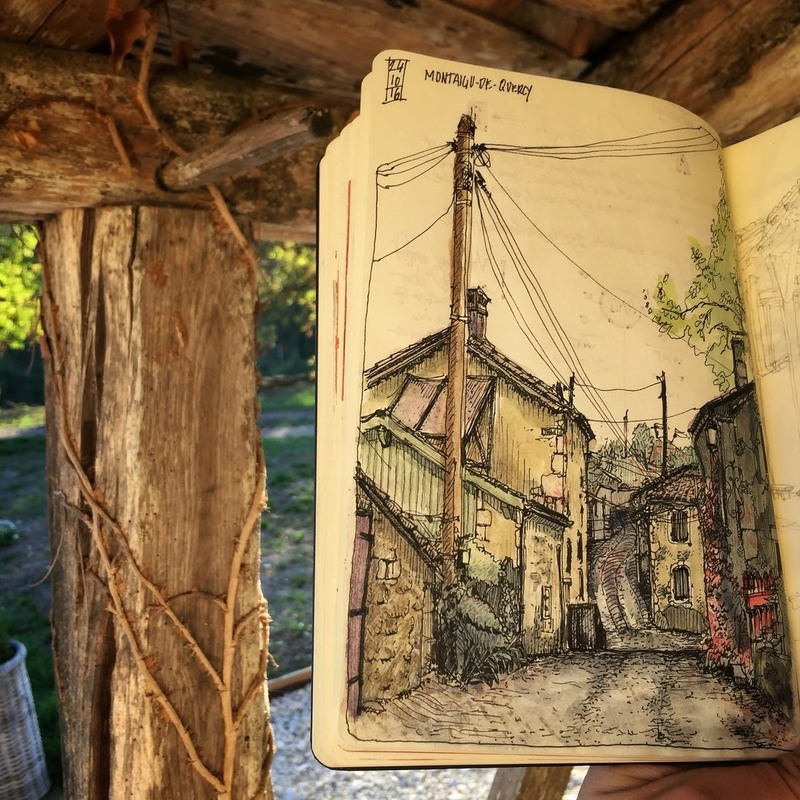 House hunting in the Gard, France.